Boasting a complete design over-haul the new website showcases Telford-based HepcoAutomation’s wide portfolio of services. As providers of advanced automation solutions from specialised tooling to complete turnkey systems, HepcoAutomation’s services are varied and diverse. The website has been designed to make it quick and easy for visitors to access information. 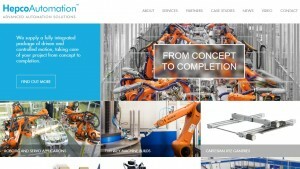 With ease of use, and a clean, crisp look at the forefront of the design, HepcoAutomation’s new website is inherently user friendly yet packed with an array of comprehensive information. Useful sections such as HepcoAutomation’s ‘Helpful Updates’ provide a wealth of information with case studies, application examples and application videos showcasing HepcoAutomation’s work in a wide range of industries and highlighting the benefits of its systems. 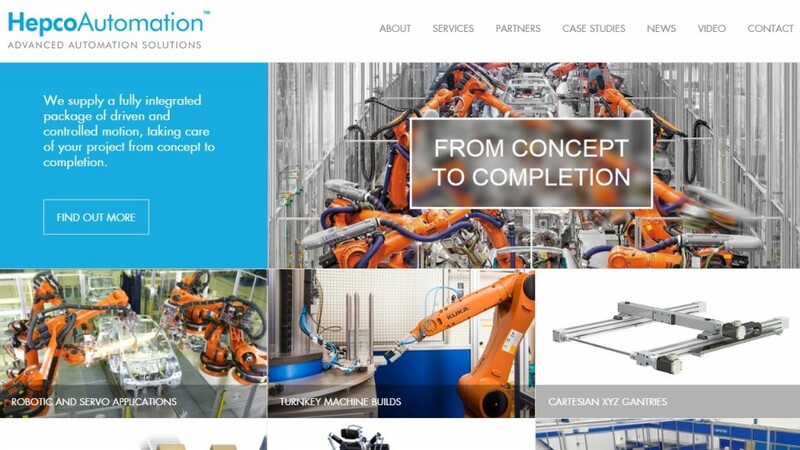 The website further details HepcoAutomation’s partnership agreements with a number of industry-leading companies including KUKA, Omron, Wittenstein and HepcoMotion. Since its formation nearly one year ago, HepcoAutomation has attracted many new customers keen to benefit from the wide range of automation solutions the company can offer. Indeed HepcoAutomation has recently quoted on a multi-million pound project with others in the pipeline. Sales are continuing to increase and the company is currently expanding in line with the growth of the business. With global recognition for innovation, HepcoMotion focuses on manufacturing linear solutions that deliver quality and precision. With branches and distributors in 41 countries, we provide extensive application support through a global network of qualified, experienced and factory trained engineers backed up by a substantial and experienced manufacturing capability.